The struggle between individual rights and the good of the community as a whole has been the basis of nearly every major disagreement in our history, from the debates at the Constitutional Convention and in the run up to the Civil War to the fights surrounding the agendas of the Federalists, the Progressives, the New Dealers, the civil rights movement, and the Tea Party. 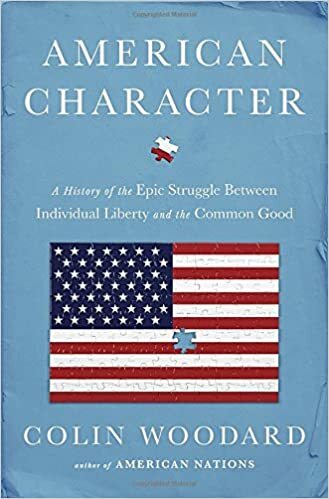 In American Character, Colin Woodard traces these two key strands in American politics through the four centuries of the nation’s existence, from the first colonies through the Gilded Age, Great Depression and the present day, and he explores how different regions of the country have successfully or disastrously accommodated them. The independent streak found its most pernicious form in the antebellum South but was balanced in the Gilded Age by communitarian reform efforts; the New Deal was an example of a successful coalition between communitarian-minded Eastern elites and Southerners. Woodard argues that maintaining a liberal democracy, a society where mass human freedom is possible, requires finding a balance between protecting individual liberty and nurturing a free society. Going to either libertarian or collectivist extremes results in tyranny. But where does the “sweet spot” lie in the United States, a federation of disparate regional cultures that have always strongly disagreed on these issues? Woodard leads readers on a riveting and revealing journey through four centuries of struggle, experimentation, successes and failures to provide an answer. His historically informed and pragmatic suggestions on how to achieve this balance and break the nation’s political deadlock will be of interest to anyone who cares about the current American predicament—political, ideological, and sociological.